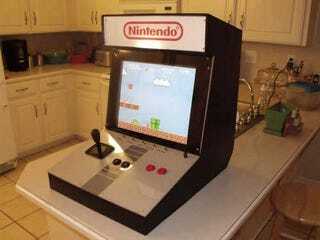 If you've got a spare PC and 17-inch monitor, why not fashion your own NES bartop cabinet? Step-by-step instructions are available over at Instructables, but the end product is a tabletop Nintendo emulator with both USB ports and authentic NES plugs. Plus, since it's PC-based as opposed to NES-based, the whole thing can function as a standard computer as well.